We are one of the leading players in contract window covering industry & have successfully handled some of the largest blind projects across the country. 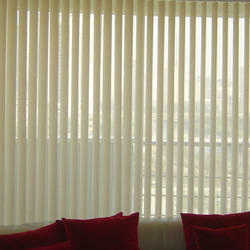 We are engaged in offering PVC Blinds to our clients. It is variety of designs, shapes, sizes and colors. These are available at market leading prices. These are available in market in different size, shapes and colors. Further more our client can avail these products as per their requirement and specifications. 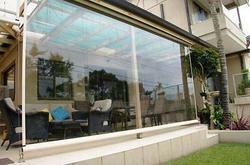 Monsoon Blinds / Weather Blinds / Exterior Blinds / PVC transperant Blinds / Transperant Blinds. Rain Protection. These blinds are guided by stainless steel wires to prevent them from swaying with the wind pressure. Our company has gained name and fame in presenting PVC Blind. We are offering Roller Blind to our client.